Foreboding winds of change are blowing over the already gale-swept South Pole, threatening to hasten Antarctic melting and worsen flooding around the globe. The Southern Ocean’s legendary winds have been blowing more fiercely and in a more poleward direction since the 1950s. Temperature observations are sparse around the hostile continent, but scientists recently modeled the ocean current knock-on effects of these wind changes, which have been caused by ozone thinning and by the buildup of greenhouse gases. The scientists were blown away by the vicious climate change feedback that they unearthed. The researchers reported that the shifting winds “produce an intense warming” just below the surface of the ocean. The wind changes were found to be heaving warm currents from deeper waters up into a zone where the Antarctic ice sheet is vulnerable to melt and crumble from beneath — the area where towers of ice sit atop submerged ground. The 8 inches of sea level rise produced by global warming so far has worsened the tolls of storm surges, including those caused by Hurricane Sandy, and subjected coastal cities to high tide flooding of unprecedented frequency. But the effects of those 8 inches pale when compared with the several feet of additional flooding expected as the century progresses. The world’s biggest reserves of above-water ice are in Antarctica, and understanding the rate at which the ice sheet will slough into the sea could help researchers refine sea level rise forecasts. Current projections would see 2.6 percent of the world’s population living in areas that regularly flood by century’s end. If Antarctica proves less stable than hoped, the catastrophe could be even worse than currently anticipated. The effects of wind changes, which were found to potentially increase temperatures in the Southern Ocean between 660 feet and 2,300 feet below the surface by 2°C, or nearly 3.6°F, are over and above the ocean warming that’s being caused by the heat-trapping effects of greenhouse gases. “We’re not even adding heat to the ocean,” Griffies said of the modeling effort. The discovery accompanies more bad news for the future of Antarctica’s ice, which was published a month ago in Nature Communications. A cold layer of freshwater that’s sitting at the ocean surface around Antarctica, caused by melting ice and contributing to the expansion of sea ice, was found through climate modeling to be preventing warm water from reaching the surface, where it would normally cool. Instead, that warm water, which is shuttled south by underwater currents from the tropics, is being thrust against Antarctica’s ice sheet and its ice shelves, exacerbating melting and hastening sea level rise. 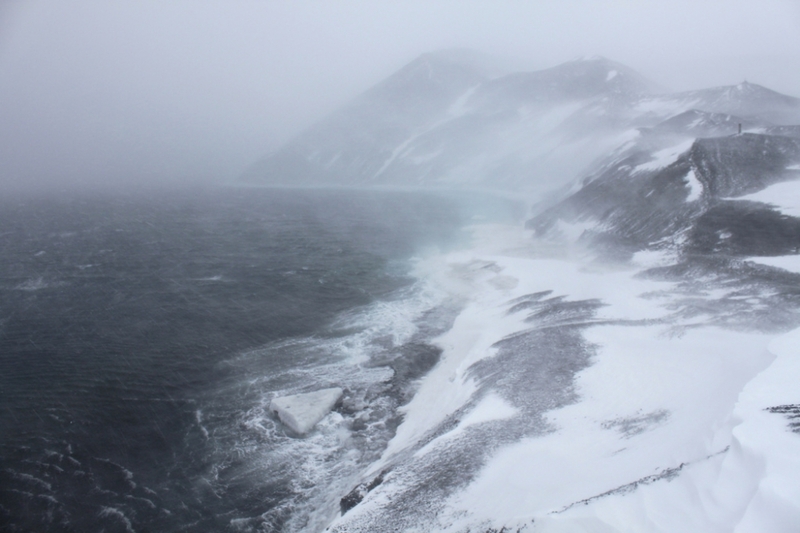 Richard Alley, a Penn State geosciences professor who wasn’t involved with the new study, said far more work is needed to understand the effects of wind and ocean changes in the Southern Hemisphere’s most frigid stretches. “A huge difficulty in all of this is that the Southern Ocean is big, deep, complex, hard to study, and in general less known than most of the world ocean,” he said. But he said the new research provides a “useful contribution” to improving our understanding of the Southern Ocean, its winds and its currents. “The main result supports and extends earlier work, showing that human forcing contributes to changing winds that contribute to subsurface ocean warming, affecting some grounding zones of the ice sheet,” Alley said. Those cascading effects might be difficult to comprehend, let alone see, for coastal communities hundreds or thosuands of miles away from the inhospitable continent. But they threaten to worsen the sinking feelings felt by those communities for years to come.